I also picked up this handy stud installation tool. 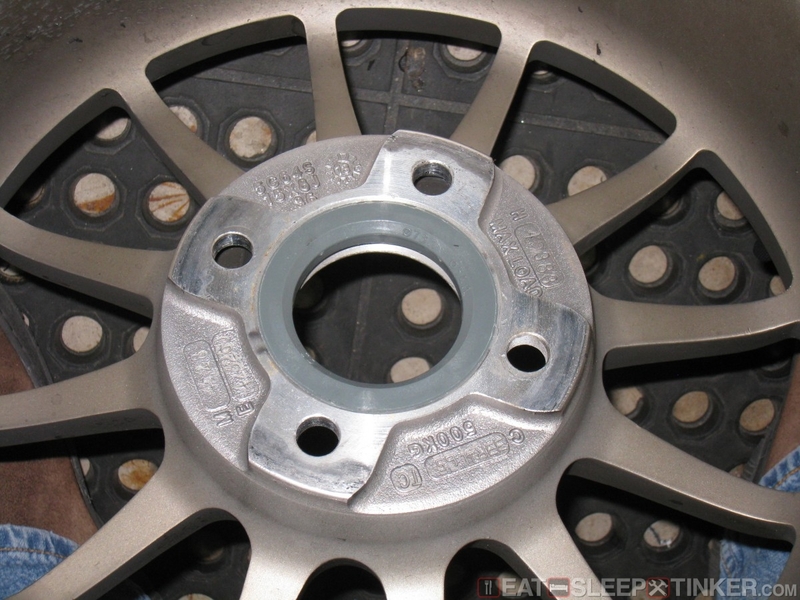 It’s a simple thrust bearing with a 60 degree cut to allow a lug nut to pull the stud and seat it into the hub flange. 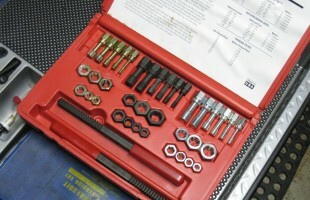 I’ve installed studs in the past just using washers, which bind up and will ruin the lug nuts. 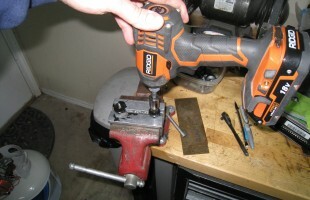 This new tool combined with the Snap-on impact driver made extremely quick work of installing the studs. I also needed to replace the lug nuts, as the closed nose McGuard nuts would bottom out on the much longer studs. I wanted some longer nuts to make it a bit easier to thread on and off the studs, which are sunk down in the deep concave area of the wheels. 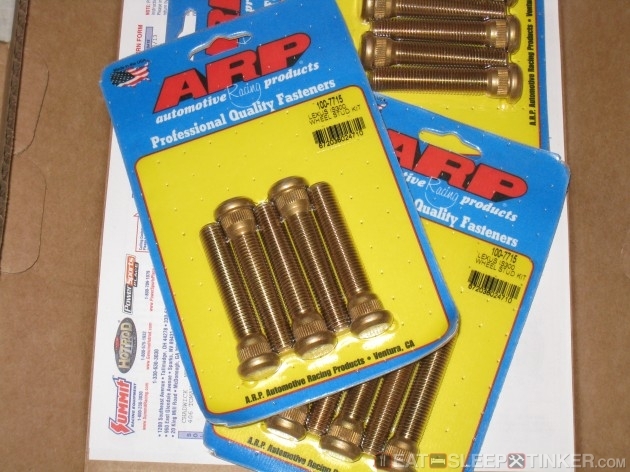 Unfortunately most long, open-ended nuts are aluminum, which I just don’t feel comfortable using, especially when they are run on and off as often as I do. So I looked for some steel versions, only finding a few available, mostly on eBay. 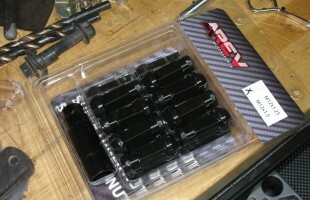 I picked up a set of 20 black nuts, which were simply painted black. The paint was down into the threads, so I used my Craftsman thread cleaning kit to run out all the paint. I used my small impact driver to make quick work of it. In the process I discovered two bad nuts, one wasn’t cut straight, causing a bad wobble. The other had bad threads. I suppose that’s what you get for Chinese products. While I had the wheels off I took the time to mark all the alignment adjustment points with torque stripes. 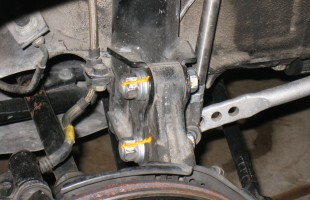 On a strut type car like the MR2, the camber adjustment is simply made by loosening the “crash bolts” that clamp down on the knuckles. Torque striping these points should help show if anything gets out of whack. I also picked up a set of plastic hub centering rings. The wheels I’m running have a slightly oversized center bore. 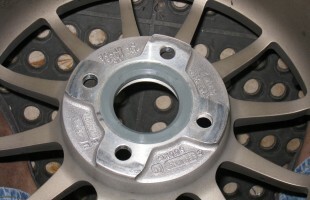 The wheels are centered and secured to the hub using conical lug nuts, not purely the hub like some OEM wheels which use flanged nuts. 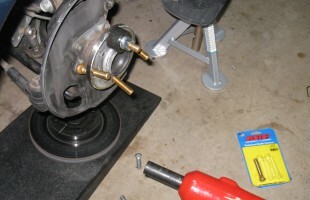 A hub ring simply makes it easier to mount the wheels. 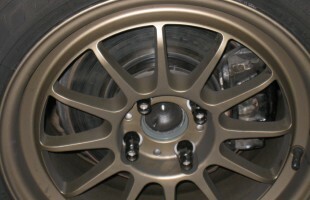 My street wheels use aluminum hub rings, which do the job well, but fall off the wheel as soon as you dismount them. 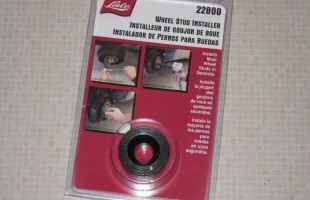 These plastic hub rings snap into place on the wheel and stay in place nicely.